Similar to wedding favors, bridal shower favors are a great way to show your appreciation to those who come in attendance to your shower party. The bridal shower is an important event that is held before the actual wedding day. 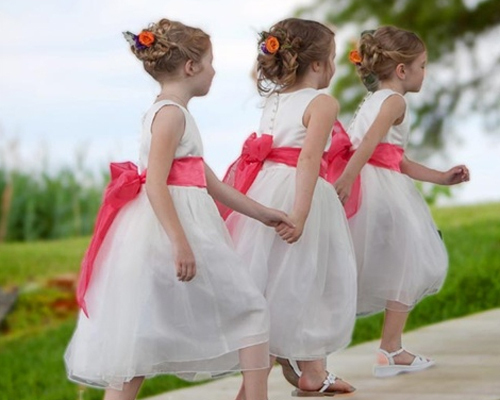 It typically involves gathering of female participants and giving presents to the bride-to-be. 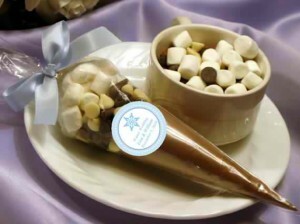 To make it more memorable, bridal shower favors are given to the guests. There are many bridal shower favors to choose from, but our favorites are the ones that are homemade. 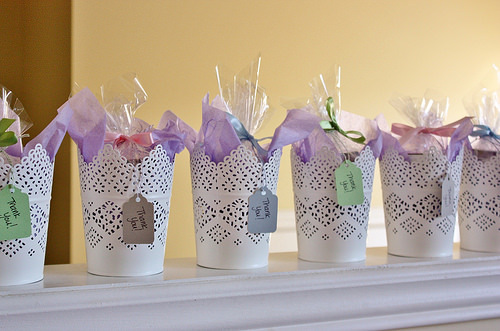 Homemade bridal shower favors give a more personalized feel. If you’re a bride-to-be, a maid of honor, a bridesmaid, a mother, a friend, or an organizer looking for creative homemade bridal shower favors, then this post is for you. 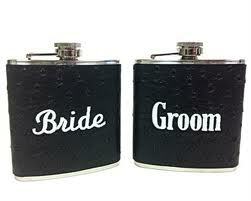 We got here some amazing party favors that your guests will definitely enjoy. 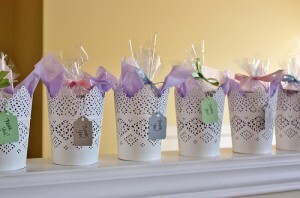 These are one of the most popular homemade bridal shower favors. Making your own candle holder is an easy task. All you need is to buy some lacy fabric from the nearest fabric store, cut it according to your desired shapes and sizes, and then glue the pieces onto the candle holders. 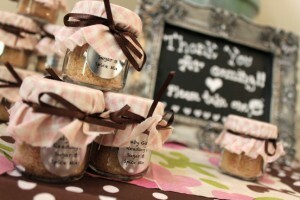 You can also put some other decorations, such as ribbons and “thank you” message to make your favors special and nice. 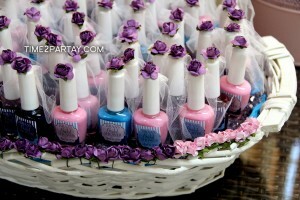 Customized nail polish also makes a great party favor for your female guests. Making this type of favor is also easy. Just buy the nail polish of your choice, then customized it with sweet tags or decorations. To make the tags, buy some specialty papers from your favorite shop, and then cut them into tiny pieces. 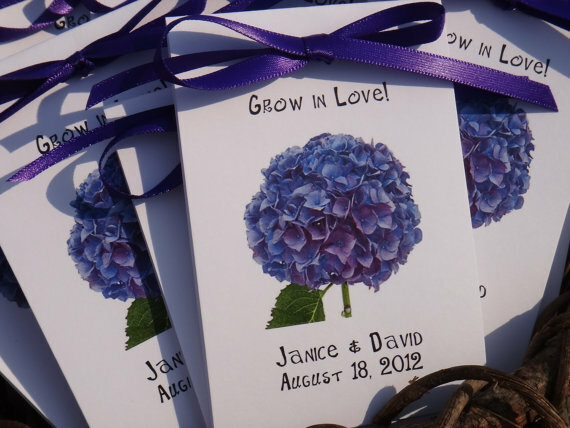 You can put anything in the paper – your names, wedding date, or even a personal message. Then, put strings in each label so you can tie it around the bottle. For additional appeal, tie the nail polish bottles with ribbons or embellish them with glitters that match your wedding theme. If you’re a food lover, nothing is sweeter than sharing your favorite treats for your friends and guests. There are many ways to create your DIY special treat favors. One way is to collect your favorite treats – candies, cookies, or chocolates – and place them in a customized bag. Also tie or add a personalized message printed on a piece of small cardboard to complete it. 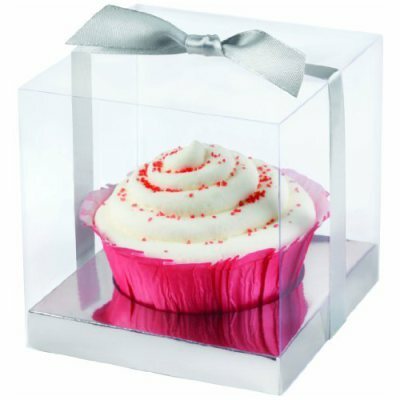 Another option is to put a mix of your favorite delicious flavors in a decorated box and wrapped them with a colorful ribbon. Another amazing homemade bridal shower favor that you may want to consider is a mix spice favor jar. This is a combination of different spices packed in one container. 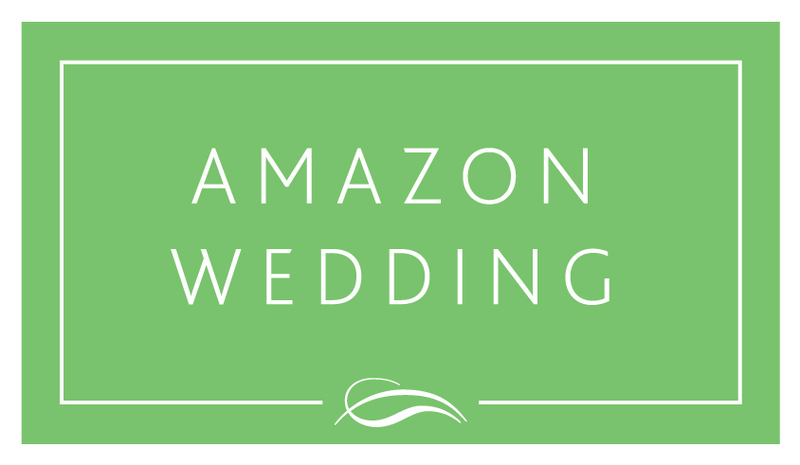 This makes a wonderful bridal favor as every time your guests use it, they’ll surely remember you. You can find various recipes of mix spices on the internet. Just find your favorite mix, and then put them in a personalized jar. For a special touch, put some special notes on the bottle. 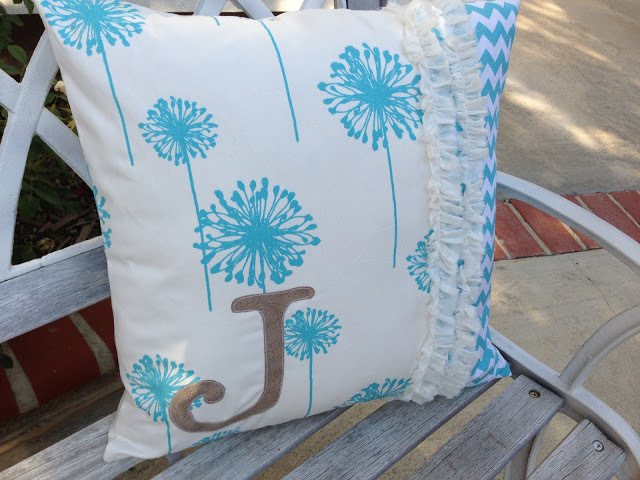 We love the idea of giving your guests something “soft and comfortable”– decorative pillows as your homemade bridal shower favors is one of the best. Sure, making this kind of party favor can be a little bit tedious as it requires sewing, but once made, they really make a wonderful gift for your guests. If you really don’t like to sew but want to use this party favor, there’s an alternative option that you can try. All you need is to buy the number of pillows you need, stick some dots and laces on some parts, and then let them dry. Remember that not all party favors need to be complicated and expensive. In fact, the most appreciated are the simplest ones. A homemade personalized card makes a nice favor for a bridal shower. The best thing about it is the fact that it only requires a few decorative items and personal message to make it great. Pick one of the best love quotes available and handwrite them on the card. Then decorate the card with craft items, such as glitters, laces, and beads. You can add a personal touch by adding your own message on the card. 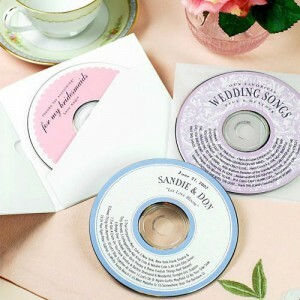 Entertain your guests with a personalized CD party favor. CDs contain wonderful music that your guest will adore and appreciate for a lifetime. To make this unique bridal shower favor, just make a list of your favorite love songs and burn them to a CD. You can make this favor much more special by creating a beautiful cover, which includes the bride and groom photographs, as well as some love quotes. Seed bags also make a useful and creative homemade bridal shower favor, especially for green weddings. Additionally, this kind of party favor is inexpensive and easy-to-make, which is great if you’re on a budget. All you need is to buy seeds from a nearby flower shop, then place them in nicely decorated bags. You may also want to attach some notes inside the bag that explain how to grow the seeds into plants. Cupcakes definitely make sweet and wonderful homemade bridal shower favors. Well, you don’t necessarily have to be a good pastry chef to make them. Some cupcake recipes are easy-to-make, and can definitely be done by beginners. All that it takes is some tools and patience. Then for a nice touch, place each piece in a pretty cupcake box. Handmade jewelries also make wonderful bridal party favors. Aside from they are very affordable, they are also adorable. Making this unique gift is definitely easy. In fact, you can even experiment and make your own design if you want to. 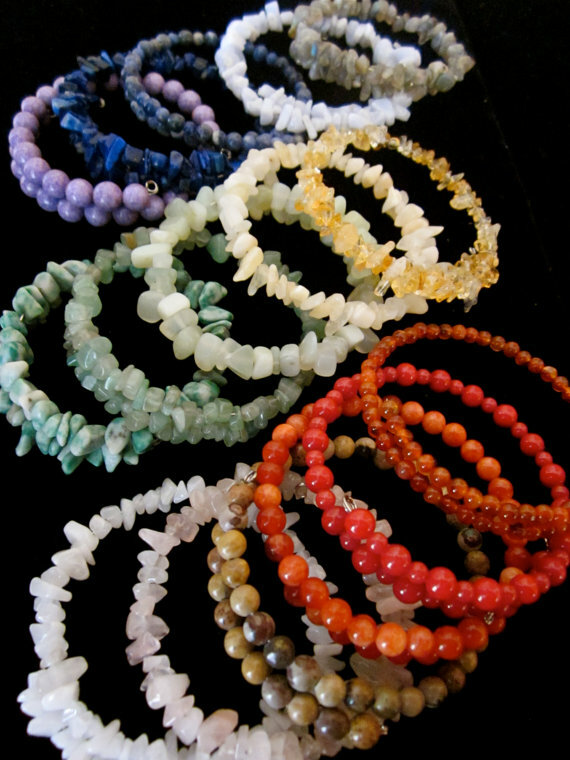 All you need is prepare your craft items, such as beads, strings, laces, ribbons, stones, and fabric to make your own jewelry. To start, make sure to cut the strings in appropriate sizes. Then, start threading the beads onto the strings. You can combine whatever types or colors of beads you desire. Once satisfied, tie a knot at the end to lock the beads in place. You can also double the thread to make sure it won’t easily break. Put additional decorations to make it more appealing.